A seven-part adaptation of the acclaimed fantasy novel by Susanna Clarke, Jonathan Strange & Mr Norrell is, by all accounts, an impressively faithful rendering of the source material. Yet therein, perhaps, lies the problem with this frequently laudable yet essentially uneven and frustrating miniseries. Though I’ve never read the 2004 book myself, I’m aware of its reputation as a dense, sprawling epic, full of detailed footnotes outlining a richly fictionalised history, in which magic actually existed once. Packed with a teeming cast of characters and a transcontinental, not to mention pandimensional, narrative involving the Napoleonic Wars and fantastical feats of magic, it’s clearly more ambitious than your average best-selling paperback. Anyone tasked with adapting such an unwieldy tome for the small-screen has their work cut out; so it’s to screenwriter Peter Harness’ credit that he manages to complete the task without falling flat on his face. But if, as fans have claimed, he’s preserved the essential qualities of Clarke’s successful novel, then he can’t take all the blame for its failings as a piece of television drama. Despite an impeccable cast and gorgeous production values, no amount of fairy dust can compensate for two-dimensional characters and a lurching, bitty narrative. Why is magic no longer done in England? 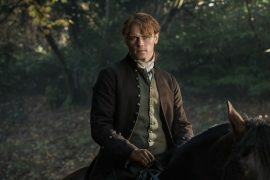 Though I take no pleasure in its ratings failure for the BBC, it’s hardly surprising that viewers abandoned the series in droves following its heavily publicised first hour. This frock-coated saga of rival magicians in 19th-century England is too cold and arch to consume with relish. Like a handsomely-crafted museum piece, or a butterfly under glass, you can admire its intricate beauty, but only dream of touching or even getting close to it. I never found myself caring about the characters or their mostly ill-defined plights. They felt more like cogs in a machine than fully-fleshed creations. Jonathan Strange (Bertie Carvell) is the only character who undergoes any significant development, yet while his transformation from aimless, amiable gentlemen to master magician, reluctant war hero, and insanely-driven romantic demigod is certainly dramatic, it never digs under the skin. The relationship between Strange and his beautiful wife Arabella (Charlotte Riley), which should be the heart of the show, fails to catch fire. Even allowing for the decorum of the period setting, one never gets the sense that they’re truly in love. Rather than drive the narrative, their supposed romance merely facilitates it. Do not laugh at me, please. It is cruel to laugh. 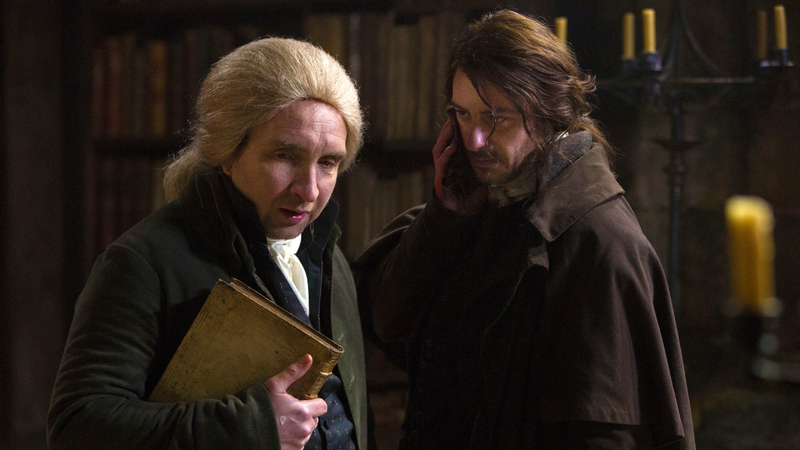 But whereas Strange does at least evolve during the miniseries, Mr Norrell (Eddie Marsan) stubbornly refuses to budge from his role as a one-note antagonist. His sole motivation—endlessly repeated to the point of tedium—is the preservation of English magic (i.e. 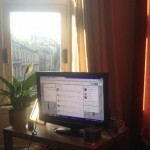 English values, although the allegory is never really developed) as a sanctified art form. While his monomaniacal ambition and dreary lack of imagination are inherent character traits, Norrell’s only story function is to serve as the humourless yin to Strange’s relatively sparkling yang. Norrell is the archetypal British bore; a pompous little man whose pedantry and preciousness stop him from attaining the happiness and respect he craves. We’ve been entertained by variations on this archetype for decades, centuries even, but Norrell doesn’t succeed along the lines of beloved creations such as Captain Mainwaring and Alan Partridge. His seriousness and pretensions aren’t amusing. He’s a boring character who bores. All of which is immensely frustrating, as the superb cast work hard to bring these characters to life. 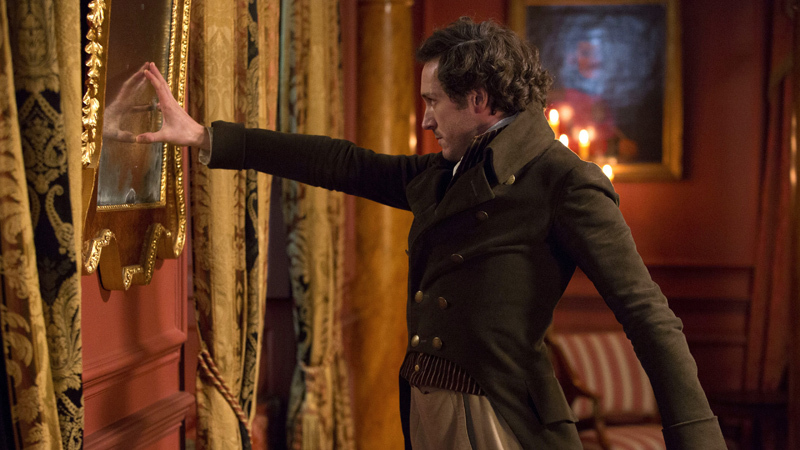 With his painfully unsmiling, discomfited demeanour, Marsan manages to imbue Norrell with a certain pathos. 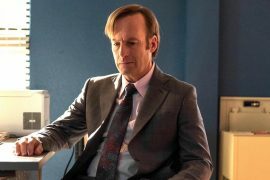 Though fundamentally selfish and egocentric, one almost feels sorry for him in the early episodes when his fussy quest for respect is met by, at first, condescension and—once his talents are discovered by the London establishment—cold exploitation. But those fleeting moments, when a sense of Norrell’s inner sadness creeps towards the surface, are almost entirely Marsan’s doing. He does what he can with a thankless role. However, as the focus shifts from Norrell to Strange, one gets the sense that Harness was rather enjoying the satirical elements of the stuffy magician’s story. A sly meditation on the Industrial Revolution, when hitherto ignored northern geniuses were courted and exploited by their southern “superiors”, this strand promises much before petering out. The ascendency of Strange—a true artisan whose creativity is funnelled into the corporate war machine—is an extension of this theme, but a potentially smart, interesting story unravels once it sinks into the age-old cautionary tale of an idealistic artist compromising their integrity and succumbing to madness. There is, of course, absolutely nothing wrong with the fundamental truth of this well-trodden, universal story. 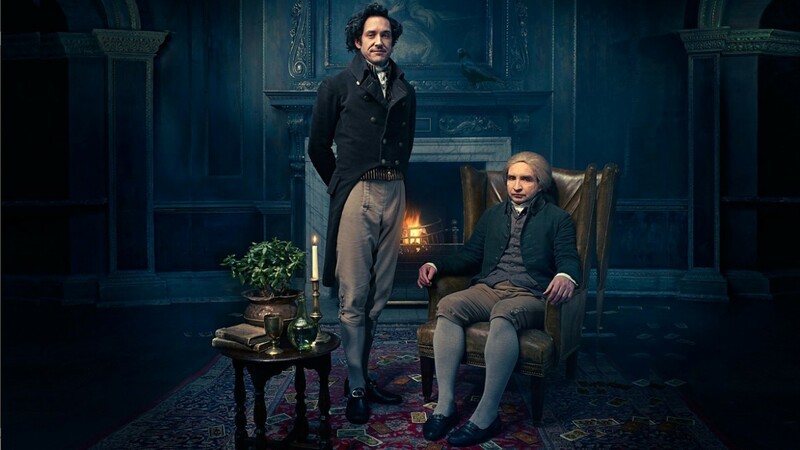 Jonathan Strange & Mr Norrell just doesn’t deliver it with any genuinely earned emotion. It’s all too mechanical. Technically brilliant on a surface level, but with no beating heart. It’s maddening, as there is so much to savour throughout this miniseries. Visually, it’s quite stunning. In harness with, well, Harness, Doctor Who veteran Toby Haynes builds an entirely consistent, atmospheric world. Shot through a dancing, corpuscular haze, it’s riddled with gorgeous, painterly establishing shots and sensitively framed, candle-lit interiors suggesting a Barry Lyndon influence. I am opening the door. I am returning magic to England. The sparingly used displays of magic are also realised perfectly. Norrell’s initial sleight of hand—bringing York Cathedral’s statues to life—was realised via a charming amalgamation of stop-motion and CGI. The decision to depict magic “realistically” – i.e. with no flashing lights, bells and whistles—is perfectly in keeping with this meticulously realised world. The scene in episode six (“The Black Tower”), where piles of books magically disappeared via old-fashioned, locked-off camera trickery, was particularly delightful. On the other hand, Strange’s tumultuous feats of magic are, fittingly, more grandiose and technically quite awe-inspiring. Those moments, when he conjures galloping horses made of sand, or instantly creates of a road across the Portuguese mountains, or crushes a French assailant in a mighty fist of mud, are arresting episode highlights. Unfortunately, they often top and tail the rather dull portions in between. 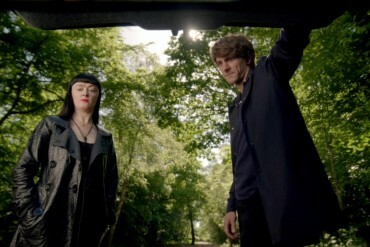 The meandering sub-plot involving Marc Warren’s Jim Jarmusch-quiffed fairy Gentleman, courting black slave/butler Stephen (Ariyon Bakare), is so ill-defined, it barely functioned as presumably intended; what exactly was the point? Paul Kaye—now the go-to character actor for seedy, snaggle-toothed, long-haired villains—performed his leeringly OTT shtick with absolute aplomb. But even when his modus operandi was eventually revealed, his prophecy-spewing character is bereft of inner life. He was merely a plot device. However, as entertaining though Franklin’s performance is, the character of Drawlight is indicative of the heavy weight of pastiche which runs through the series. Often it feels less like a drama and more like a series of droll references to other sources. 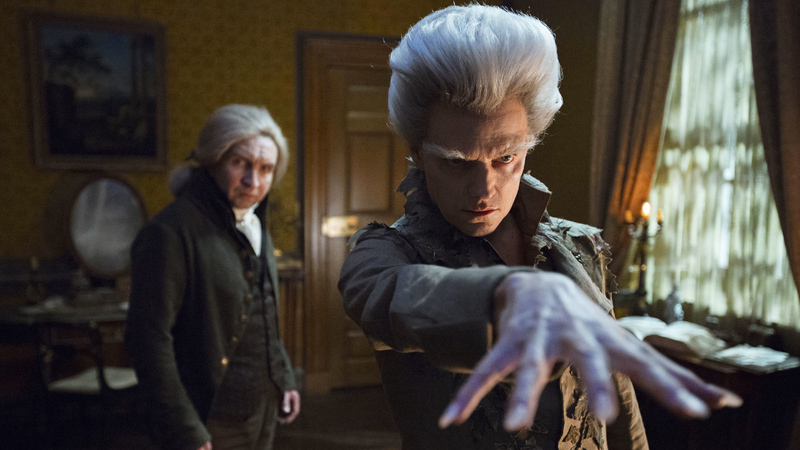 Jonathan Strange & Mr Norrell, for all its visual beauty and actorly prowess, is an occasionally dazzling yet emotionally hollow conjuring trick. Though made with care and loving attention to detail, it’s an agonisingly remote work of art.